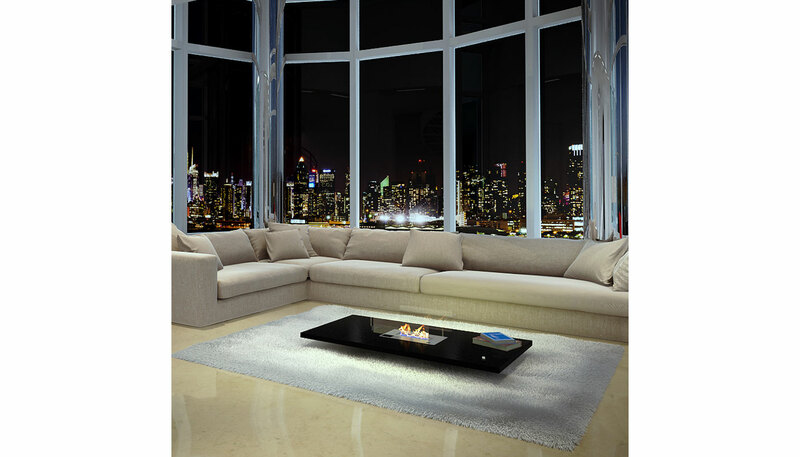 The Lou is a coffee table with an integrated ethanol fireplace that can be controlled with a remote control. The Lou brings a touch of warmth and dynanism to your interior. It gives you the opportunity to enjoy a coffee or a cocktail with your family and firiends around a fire. The Lou fireplace comes in a square or a rectangle and is available in satin black, satin white, corten and natural wood.